There's a crossroads between Buxton and Banks avenues, even though they don't intersect. These blocklong, parallel, South Slope streets are lined with places to buy things, eat, drink and make merry: a chocolate factory, a doughnut shop, three breweries, two bars, a beer-and-wine store and the newest barbecue joint in town, among other businesses. The tiny area contains enough fat and carbohydrates to kill several trolley loads of tourists. But from an economic perspective, these two blocks just might be among the healthiest, most youthful and vibrant in Asheville. This kind of crossroads exists wherever local businesses are growing and changing: It's not where streets meet, but where consumers meet local businesses, and where local entrepreneurs meet new ideas. An upcoming event will be tackling this particular crossroads head-on. At the inaugural Venture Local Fair, which will take over Buxton and Banks Sept. 25-26, "People can learn about cutting-edge ideas for building the economy, democratizing wealth and building better businesses," says steering committee member Franzi Charen, the director of the Asheville Grown Business Alliance. The event has two parts. The Friday conference, a daylong, ticketed affair, will feature workshops aimed at business owners, folks looking to start businesses, and community leaders interested in ways to support the local economy. On Saturday, the conference will turn into a street fair. 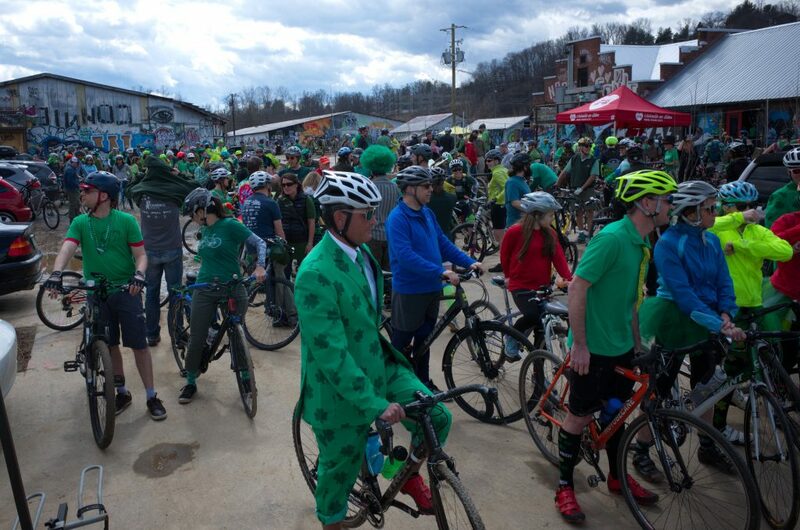 "Of course, anyone is welcome," Charen explains, but the idea is to create "a festival of locals, by locals, for locals ... celebrating what we have." Eric Henry tells his customers, "If the only reason you're coming to TS Designs is price, then there's really no use continuing the relationship, because you're always going to find somebody cheaper." Henry, who is president of the Burlington, N.C.-based apparel company, knows how to make a product's local nature add enough value to overcome the price gap. "When you're buying in a global marketplace," he says, "your only connection is price. But when you're buying local, there's a relationship beyond price. Over time, that becomes more connective and stronger." Henry, one of Venture Local's keynote speakers, serves on the board of the Business Alliance for Local Living Economies. He'll talk about the collapse of North Carolina's once-thriving garment industry and the recovery he's seen as consumers "start to realize what the real cost of 'cheap' is in the global marketplace." A key focus of Venture Local, notes Charen, is considering how businesses can serve the community and their employees while maintaining strength and viability. That includes "ways to democratize ownership" through such vehicles as worker co-ops and employee stock ownership plans. "A lot of baby boomers are retiring now," she points out, "and one of the ways they can pass on their businesses is to the workers, through ESOPs." ESOPs, or employee stock ownership programs, are commonly used by S-corporations, which are one of two IRS-defined corporate types. 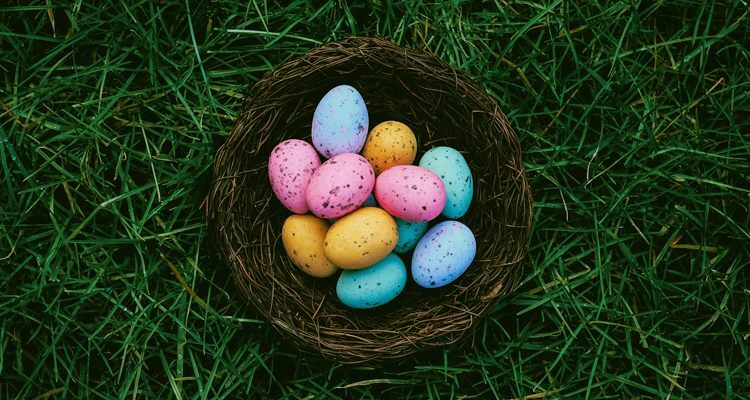 This model provides a stable alternative to traditional pensions, giving employees an incentive not to change jobs and a sense of ownership that can enhance productivity and innovation. Henry, meanwhile, will also be part of a panel discussion on "benefit corporations" -- a way to show customers that a business cares about more than just the bottom line. TS Designs, says Henry, was the first company in the state to be certified as a "B-corp," and he'll share his experience of obtaining that status and "operating under the 'triple bottom line' of people, planet and profit." The conference part of Venture Local is a companion piece to the Bringing It Home conference, held at A-B Tech this spring. "We want the two events to work back to back, continuing the conversation and growing together," Charen explains. The Venture Local Street Fair is FREE for all to attend. 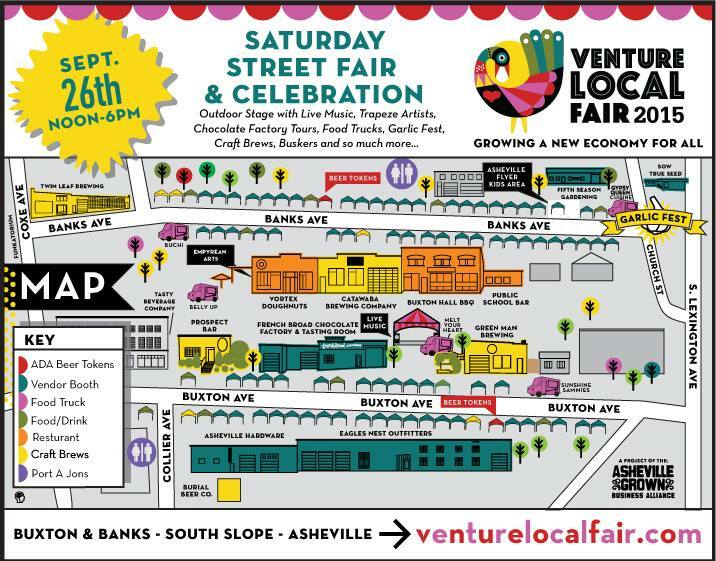 The Venture Local Street Fair will take place Saturday September 26th, 2015 from noon - 6pm in the South Slope of downtown Asheville. Banks Street, Buxton Avenue and Collier will be closed to traffic. After on-site load-in, Saturday vendors should be able to find on street parking spaces within easy walking distance to the event. Please remember to pay if you park in a metered spot. The city requires you to pay $1.25/hour from 9am - 6pm both Friday and Saturday. The conference on Friday will host engaging workshops, nationally recognized speakers and fascinating ideas on how to grow a resilient and dynamic local economy that works for everyone. On Saturday at the street fair, you'll find the best handcrafted goods in the region. We welcome the wild, the beautiful, the outrageous and the simply demure in the following categories: prints and originals in 2D art, ceramics, glass, wood, metal, fiber art, jewelry, clothing, accessories, paper goods, toys, pet accessories, home goods, garden and more. We will also feature a community of seekers, thrifters, finders and collectors. They will bring fantastic found objects and treasures of yesteryear for your thrill and enjoyment. Need a massage, a haircut or a poem written just for you? The street fair brings an astounding variety of vendors and talented folks to entice and pamper all your senses! There will also be a selection of local food, breweries and businesses in the area will be open and live music will fill the air so come ready to have a good time! View Home Details and Get Directions Here for our September 27th tour. Green buildings take many forms. Some, such as those built with natural materials or with a large solar array on the roof you can recognize from miles away. However, as green building creeps into the mainstream, green homes may look more and more like every other house on the block. 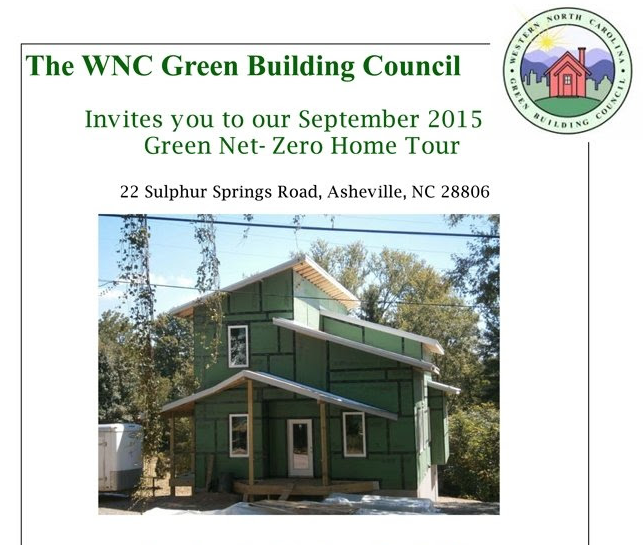 The buildings on our monthly tours and in our case studies exemplify the new generation of green homes, some of which are certified under the GreenBuilt Homes Program. These homes incorporate all or some of the following green building principles: Sustainable site development, energy and water efficiency, responsible resource and material use and indoor air quality. The Holy Trinity Greek Orthodox Church of Asheville proudly presents the 29th annual Greek Festival, on September 25th , 26th & 27th 2015. Friday & Saturday 11 AM- 9 PM & Sunday 11 AM-4 PM. at 227 Cumberland Avenue in the Historic Montford District. We warmly everyone to come and share in the festivities! Sample some of our traditional foods like Lamb Shank, Pastichio, Spanakopita, Gyro & souvlaki and pastries like Baklava, Kourambiethes, Galatoboureko and Loukoumathes, while enjoying the sounds of our music. Or browse through the "agora" (marketplace) as if you were strolling through the coble stone streets of the villages of our ancestors while catching a live performance of our talented dancers who carry on the traditions of many years ago. Take a tour of our church, that is deep in history in itself . These are the traditions of our Greek life as are the "panigiri" (festival). Where friends and family come together to enjoy fellowship, food, dancing and all around good time. Come join us for your chance to become "Greek for a day" and see why we love to have fun! Come by this Saturday, September 26th, for the LAST market of the season! 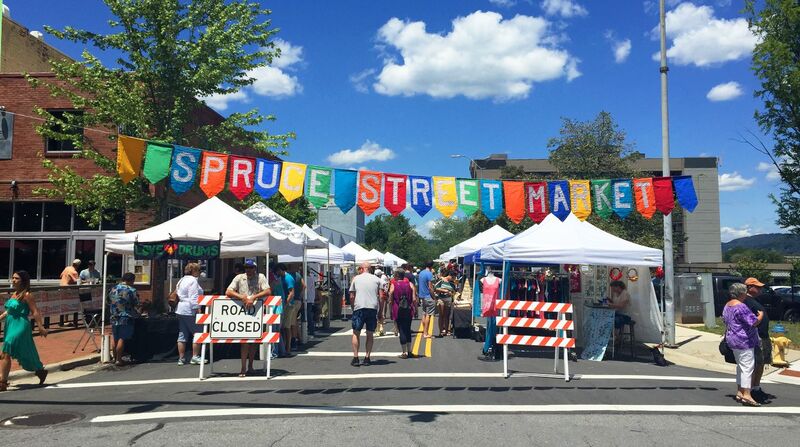 Founded in 2014, the Spruce Street Market is a partnership between The Appalachian Craft Center and The Updraft Fine Art Gallery. Both galleries are committed to maintaining a high quality market while keeping market fees low. Spruce Street is centrally located next to the new park and stage where other city, cultural, and private activities take place regularly. The Appalachian Craft Center located at 10 N. Spruce Street hosts up to 50 local and regional artists on Asheville's front porch every Saturday.